Question 1: Is my pet’s procedure expensive? Answer: Veterinary care is a great value! When the same process is compared to human medicine, veterinary care is extremely affordable. Question 2: How old should my puppy or kitten be before being spayed or neutered? Answer: A good rule of thumb is to have your puppy spayed or neutered at six months of age. 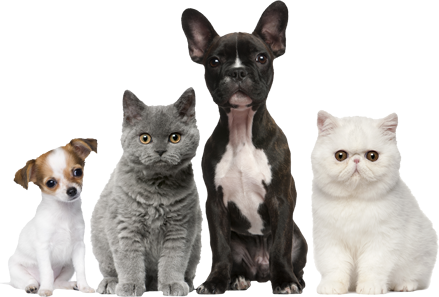 However, breed and size may cause this age to vary slightly, so call your veterinarian to ask when it is best for your pet! Question 3: What causes heartworm disease? Answer: Mosquitoes carry small organisms known as microfilaria. When a mosquito bites your pet, this small organism can be transmitted to your pet, causing heartworm disease. All dogs and cats should be protected against this preventable disease. Ask Dr. Farris what she recommends to prevent heartworm in your pet! Question 4: Why does my dog eat grass? Answer: Your dog may eat grass because he or she likes the taste. An upset stomach may also cause your dog to eat grass. Typically your dog will not eat enough grass to be concerned about, however, continued feeding on grass is a cause to bring your dog to your veterinarian. Question 5: Should I vaccinate my dog or cat when they are pregnant or nursing? Answer: It is preferable to wait on vaccinating your pet when they are pregnant. However, this does depend on the vaccination and the disease being prevented so it is a good idea to consult with your veterinarian. Typically there is no problem in vaccinating your pet when they are nursing. Question 6: Should my pet have blood work performed prior to a surgical procedure? Answer: Routine surgeries are generally extremely safe for your animal and are no cause for concern. Performing a simple blood test prior to surgery can help your doctor find possible underlying issues with your pet’s liver, kidney or blood count making the surgery even safer for your furry friend!